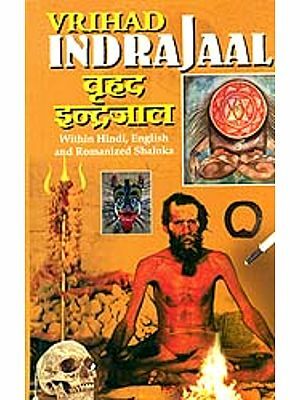 Indrajaal is one of a primitive, ancient and rare recognition. It has many branches. 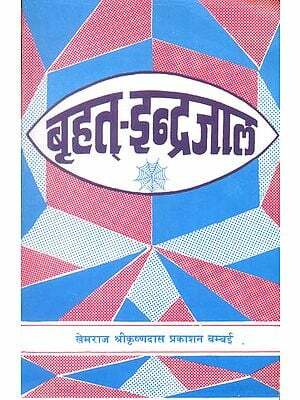 It is like ocean of learning from which I have procured few drops of Mantra, Tantra & Yantra. 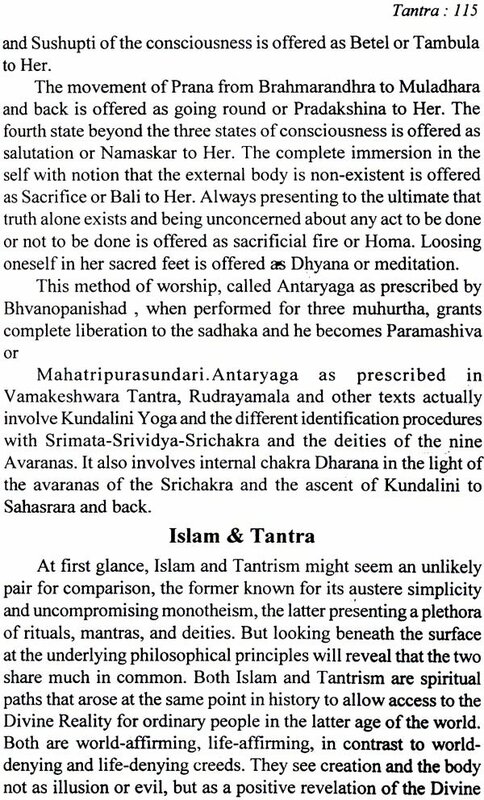 In addition to this description of Vedic Mantra, Tantra & Yantra has also been provided for knowledge and learning. This book presents the perplexing subjects in such a systematic way that the general mass can easily understand and follow. The Mantra, Tantra and Yantra, each is a separate part of occult science and has its significance and importance at its own place. This old science of heritage is being used by the people all over the world and are now being convinced about the efficacy of this science. The heritage of India is hidden at many places and is not available at one place. Yantra means an instrument, apparatus, tilism or mystical diagram but definitely not a magic or Jadoo Tona as is commonly believed. 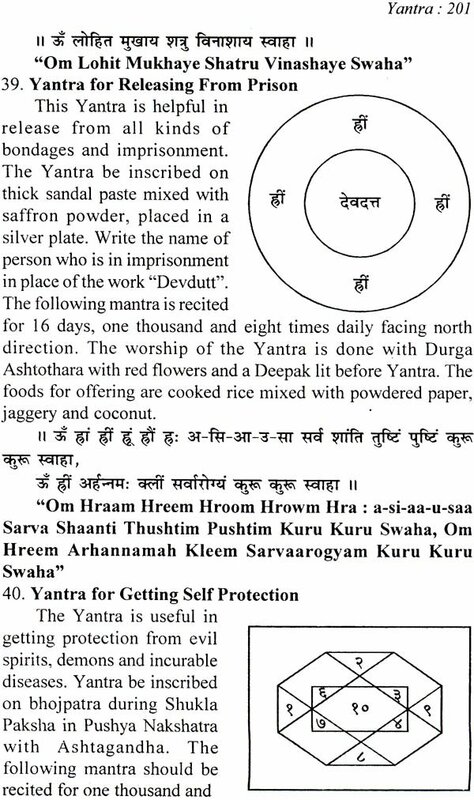 The Yantra be practiced and used for the help, good cause and service of mankind. These should no: be used for any nefarious means. 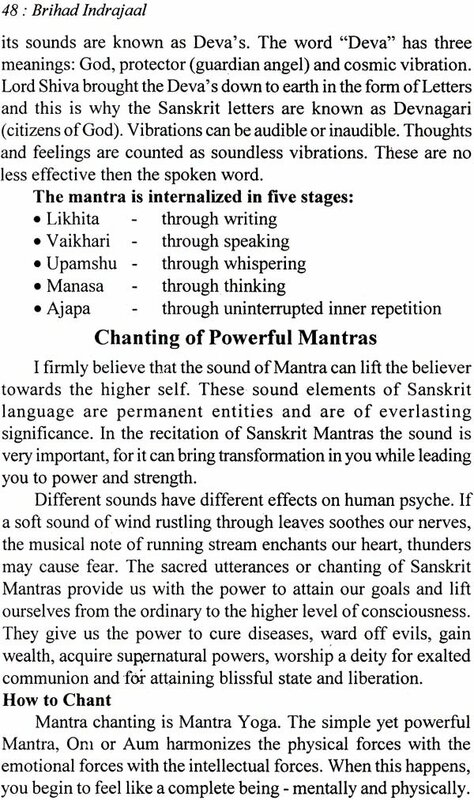 The Yantras provided in .his book are very practical. 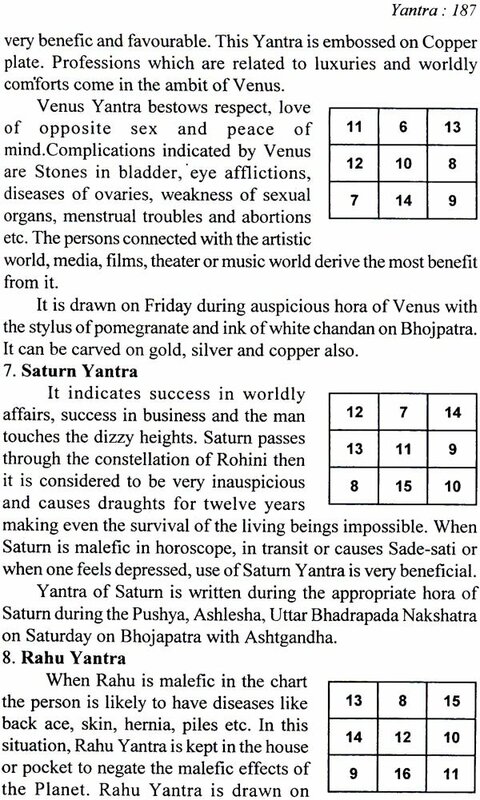 Yantras be prepared as per directions prescribed for that i.e. 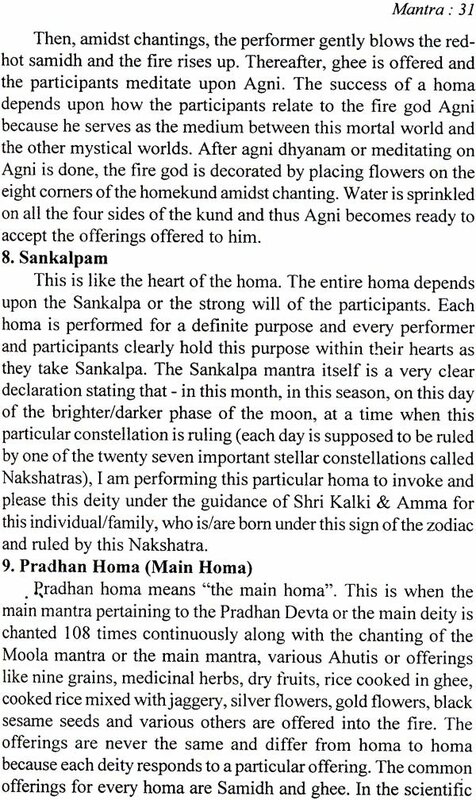 on the correct day, with correct material and pooja be performed as per laid dictums. 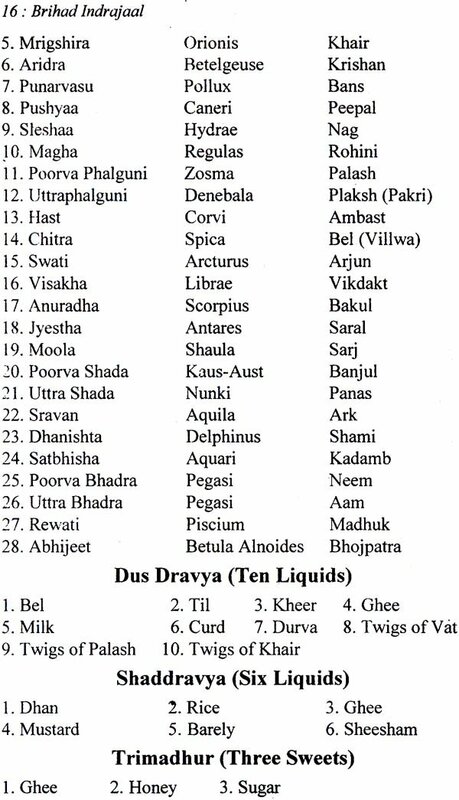 Other yantras for which no specific directions have been performed during some auspicious periods such as Nav Ratras, Holi, Deepawali Day or night, on eclipse day etc. 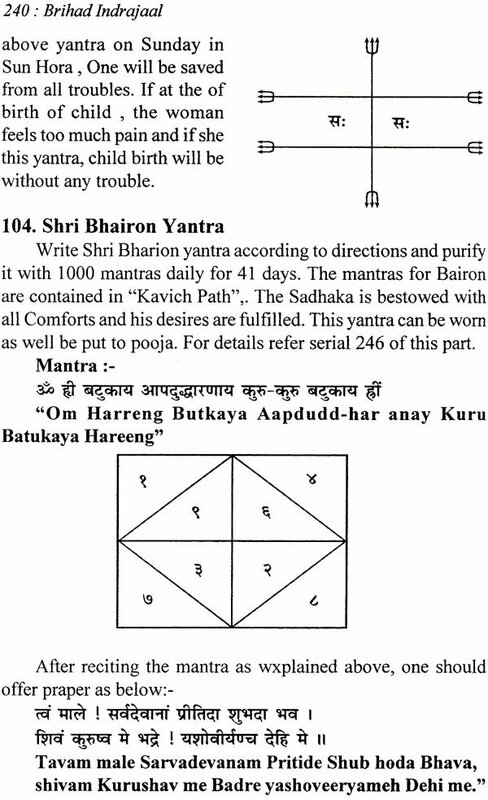 The sadhana for yantra be performed with full faith and rituals and you will succeed. 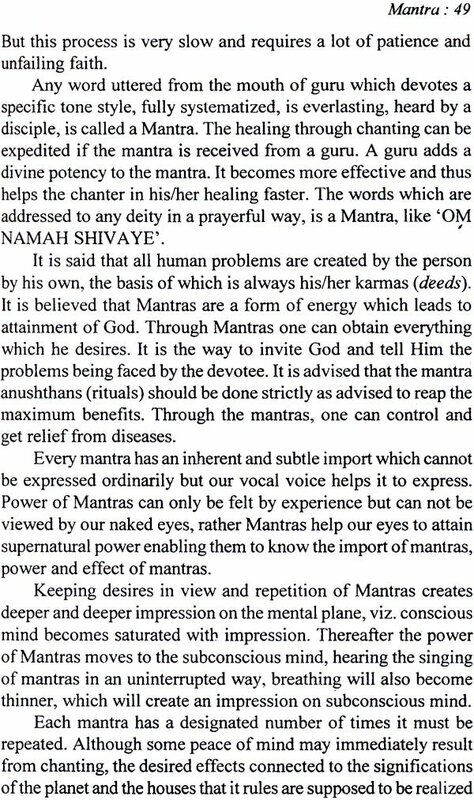 Classics say that mantras are sounds which originated from the five faces of Lord Shiva is different forms.· The basics of mantra i.e. shabda, is more ancient that anything which was subtle in form. It could be said that shabda, the sound was born before deity and human being. It is said that sound leaves its impact on common human being from heart to soul. While practicing the mantras, the devotee should follow the rules provided in the classics such as Brahman granths, tantra, agams, upnishads etc. Vedic mantras are those mantras which are experienced by our sages or rather seen and later passed on to their disciples. 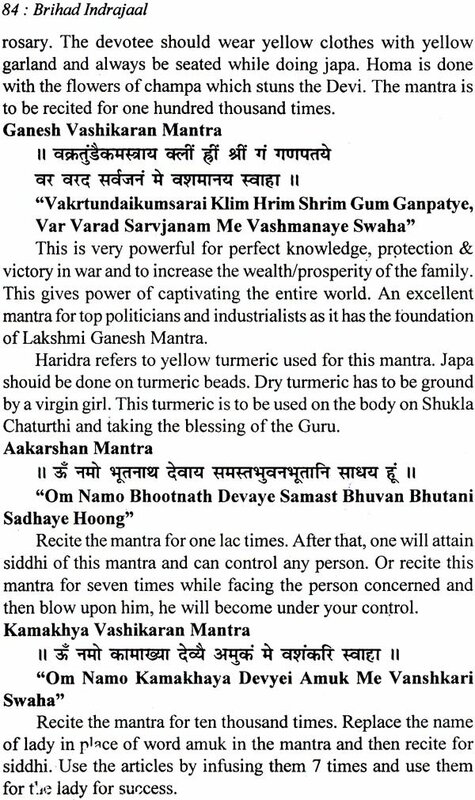 When Mantras are given samput through any of the Bija mantras or created as per the need and already tested are known as Tantric mantras. Any Sadhana requires constant and continuous search and practice. Desires have no limit. We are all forced to take recourse to various short-cut method for the accomplishment of desires. Mediation, Mantras and Tantras being few methods among them. There is no doubt that the real path of mediation takes us to wealth and comfort initially and salvation being the final stage. When one mediates with sincerity and by observing the correct technique as imparted by our ancients, his surroundings become favourable, wealth flows in, he enjoys the worldly comforts, and then the real stage of salvation comes. I request the practitioners to practice those mantras which are meant for attaining peace. If God is kind enough to give peace, we have achieved everything we want. To gain the full benefit of this deep and rewarding book requires considerable reading between the lines, thought, and even some outside research. The results of these actions are well worth the effort. Indrajaal is the external manifestation of the expanse of Indra, “Indra’s net.” It originates from a mantra from Atharvaveda 8.8.8, which says, “This great world is the power net of mighty Indra, greater than the great. By that Indra-net of boundless reach, I hold all those enemies with the dark cover of vision, mind and senses.” Faced with this quotation, one could legitimately question whether this book delivers on its title, because it only occasionally speaks of Indra’s net. 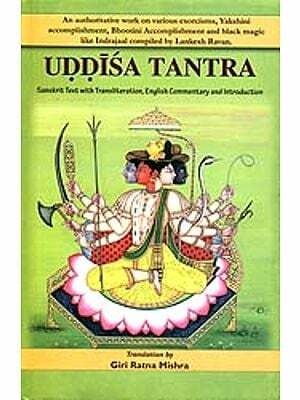 Mantra, Tantra, and Yantra each refer to a essential processes operating in our universe. Mantra is the primordial sound of the universe, Tantra seeks to channel the inner energy of the universe to the sadhana, and yantra is a physical, geometric representation of those divine energies. Together, they all represent Indra’s net, reduced to their most irreducible form. Indra’s net captures everything in the universe. Thus, the book goes into discussions of the planets, stars, asterism, down to the individual person. And of course, it contains many, many mantras. While it would have been better if the author explained all of this beforehand, I have no regrets. This book is an adequate substitute for a personal guru, because it gives the reader just enough to find the answer alone, or at least begin to find the answer. Very highly recommended. 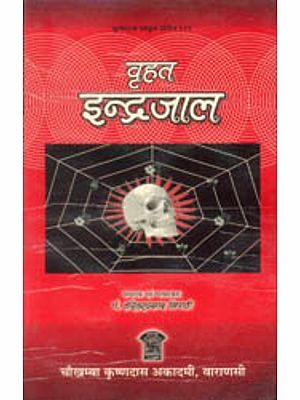 ইন্দ্রজালাদি সংগ্রহ: Collection of Indrajaal Etc.